Question: Does the large window on the right side of the building let light into the kitchen or just the stairwell? I live in a remote area. Is the roof an engineered trust system that needs to be trucked in or is it something that can be built on site? Answer: The window is in the stairwell as shown on the Second Floor Plan. The roof system is designed to be built on site – not trussed. Question: Hi, can this be converted to 2"x 6" Where is the fireplace? 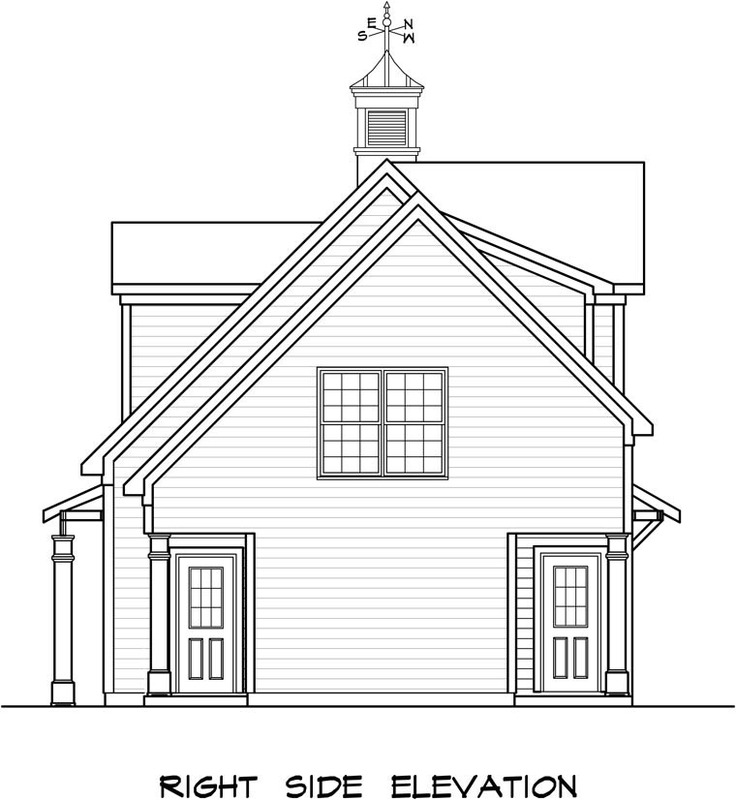 Question: What is the height at the peak of the roof? Question: Is the garage space totally open or are there support columns? Answer: We have the garage as "clear span" no columns anywhere. 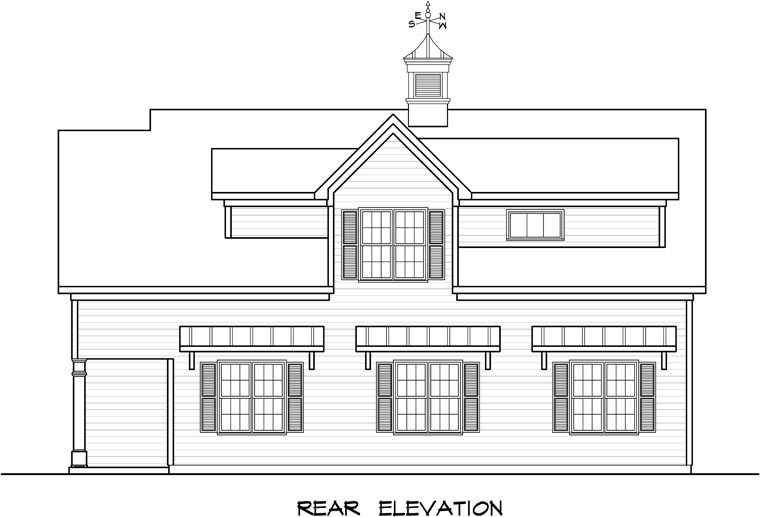 Question: Is the 29' dimension garage or to front columns? Is there engineered "I" floor joist or a truss/joist system? Question: Thank you for your recent email in regards to the dimensions of the garage doors.You didnot mention the heights of the doors.I wanted this info. because my tractor height,roll bar,is 8 foot.Also,what is the height of the ceiling inside the garage? Thank you again. 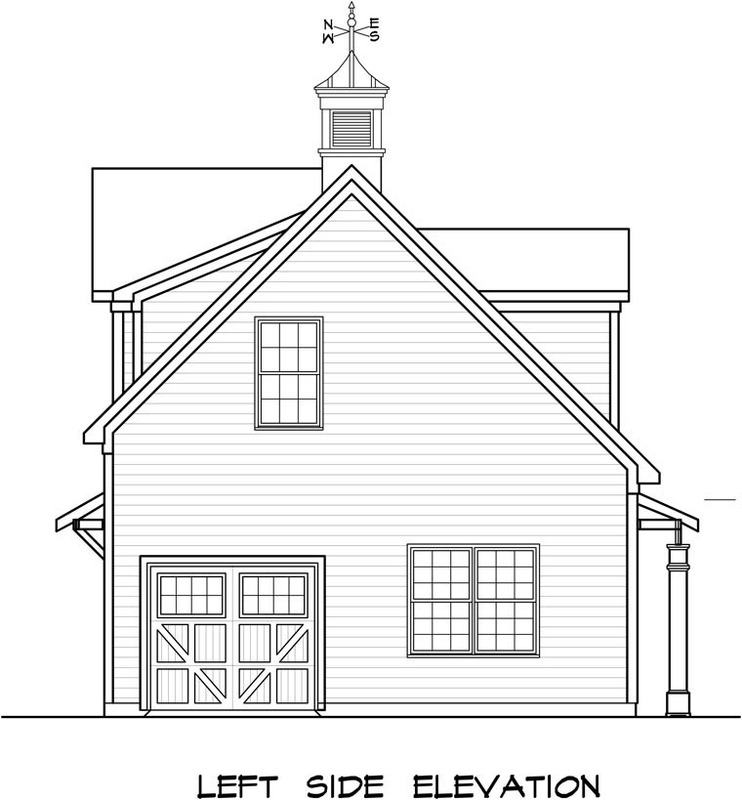 Answer: The interior ceiling height is 9'-0" and the garage door height is 8'-0". If you wanted to you can raise the interior ceiling height to 10'-0" and change the garage door height to 9'-0" "on site" if you wanted to. 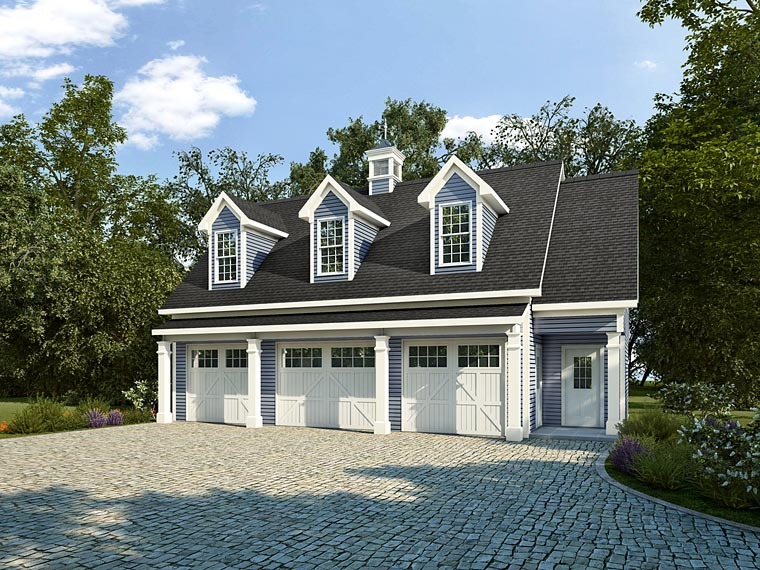 Question: What is the height of the garage doors? 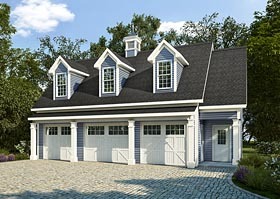 Is the middle garage door wider than the other 2 doors? What is the dimensions of the side garage door? Thanks. Answer: The door in the center is wider - it is 11'-0" wide to accommodate a wider vehicle like a 250 size truck. The mirrors on a 250 size truck will not go through a 9'-0" door (like the other two) and will barely go through a 10'-0' so we made it 11'-0" to get plenty of clearance. The garage door on the left side is 8'-0" but can be any size you want. Question: Can this design accommodate 2x6 exterior walls for adequate insulation for ND winters? Answer: Yes it could. If you just make the exterior wall a 2 x 6 wall then it would make the interior room size 2" smaller. On corner rooms it would make the room 2" smaller each direction. Hope that makes sense. Another other option is to move the foundation wall to the outside 2" and that would leave the interior room the same dimensions. Just be sure the foundation guy understands how to do that. It should be simple enough to do "On site" and you would not have to pay to have the plans changed. Another option would be keep the 2 x 4 wall and use spray in foam insulation. It is a little more expensive but by the time you pay for a 2 x 6 wall and extension jambs on windows to accommodate that you may come out the same price. Question: The square footage of finished space on this plan does not correct. Can you please explain the square footage calculation? Answer: The main level footage is 1080 sq. ft. - The upper level footage is 732 sq. ft. for a total of 1812 sq. ft.